February 13, 2010 - Balli Aviation Ltd., a subsidiary of the United Kingdom-based Balli Group PLC, pleaded guilty in the U.S. District Court for the District of Columbia to a two count criminal information in connection with its illegal export of commercial Boeing 747 aircraft from the United States to Iran. Under the plea agreement, Balli Aviation Ltd. agreed to pay a $2 million criminal fine and be placed on corporate probation for five years. The $2 million fine, combined with a related $15 million civil settlement among Balli Group PLC, Balli Aviation Ltd., the U.S. Department of Commerce’s Bureau of Industry and Security (BIS), and the U.S. Department of the Treasury’s Office of Foreign Assets Control (OFAC), that was also announced, represents one of the largest fines for an export violation in BIS history. 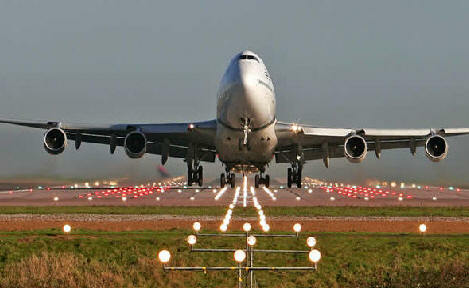 According to count one of the information filed with the court, beginning in at least October 2005, through October 2008, Balli Aviation Ltd. conspired to export three Boeing 747 aircraft from the United States to Iran without first having obtained the required export license from BIS or authorization from OFAC, in violation of the Export Administration Regulations (EAR) and the Iranian Transactions Regulations. More particularly, the information states that Balli Aviation Ltd., through its subsidiaries, the Blue Sky Companies, purchased U.S.-origin aircraft with financing obtained from an Iranian airline and caused these aircraft to be exported to Iran without obtaining the required U.S. government licenses. Further, Balli Aviation Ltd. entered into lease arrangements that permitted the Iranian airline to use the U.S.-origin aircraft for flights in and out of Iran. "As this case demonstrates corporations that conduct business with Iran in violation of U.S. export laws and sanctions face serious consequences," said David Kris, Assistant Attorney General for National Security. "The many agents, analysts and attorneys who worked on this successful investigation and prosecution deserve special thanks for their efforts." "These charges reflect the commitment of the United States to vigorously enforce our laws against corporations that illegally seek to acquire U.S. aircraft from the U.S. on behalf of Iranian customers," said Channing Phillips, Acting U.S. Attorney for the District of Columbia. "Those who seek to profit by violating and circumventing U.S. trade laws should take heed of today’s guilty plea by Balli Aviation." "The significant fine is a direct consequence of the level of deception used to mislead investigators," said Thomas Madigan, Acting Deputy Assistant Secretary of Commerce for Export Enforcement. "The case agents worked through a complex corporate maze to obtain the facts and bring the violators to justice." "This case should serve as further warning of Iran’s continued efforts to circumvent sanctions and obtain U.S. technology. Together with our colleagues from the Justice and Commerce departments, OFAC will continue to aggressively pursue both domestic and foreign entities that seek to violate U.S. sanctions programs by exporting goods to Iran from the United States." said Adam J. Szubin, Director, Office of Foreign Assets Control.